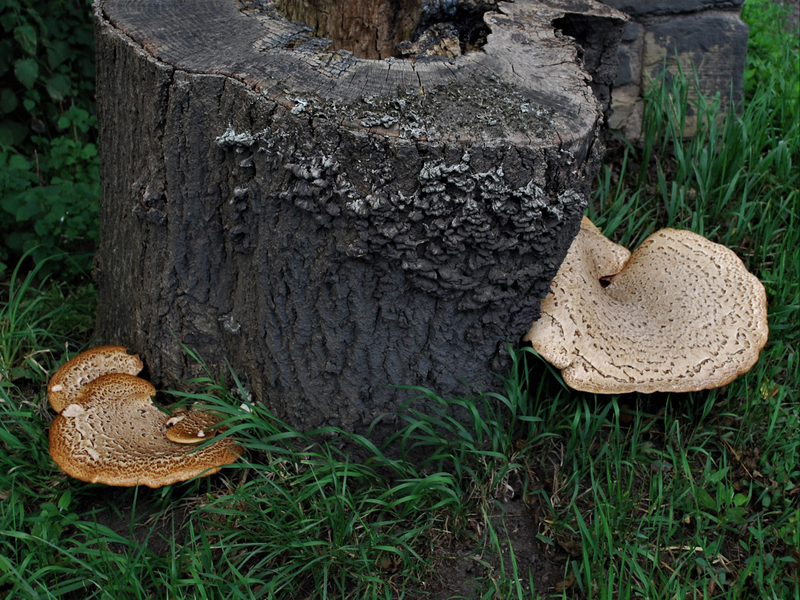 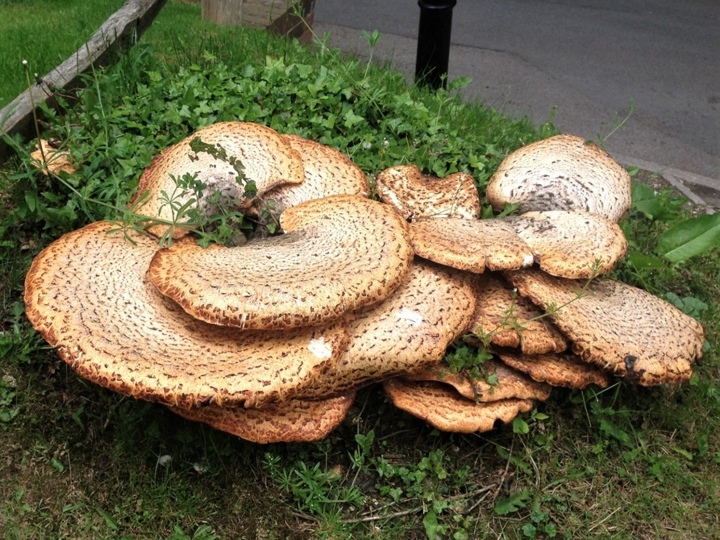 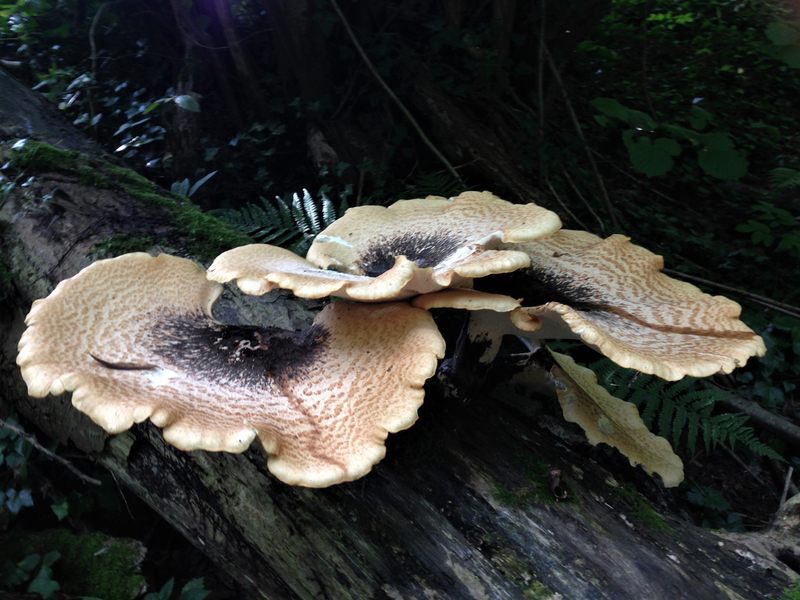 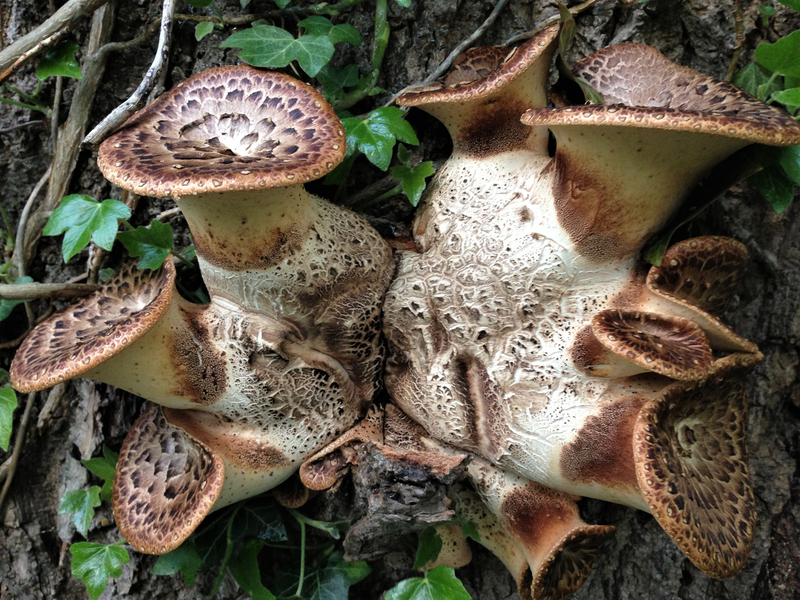 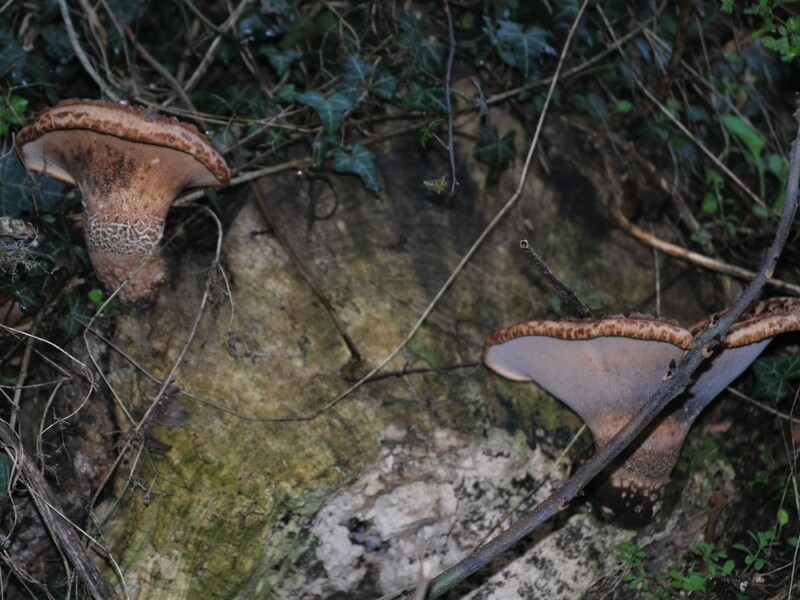 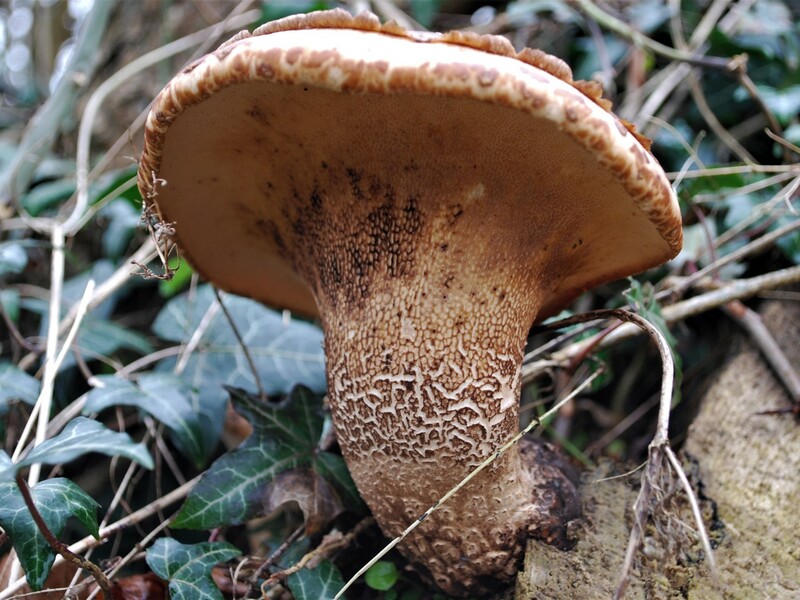 The largest capped mushroom in the UK starting early in the year and sometimes lasting until the end of Summer. 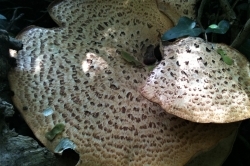 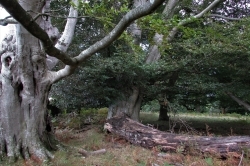 A large circular or fan shaped bracket. 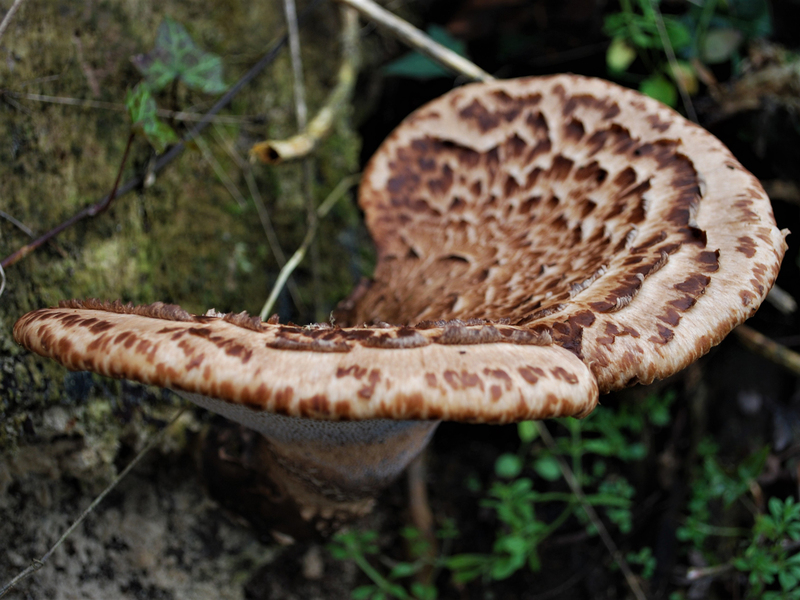 Ochre to dark yellow with darker, concentic circles of brown scales. 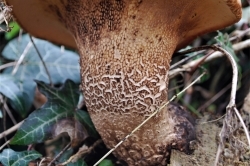 Large angular and irregular off white to ochre pores that run down the stem. 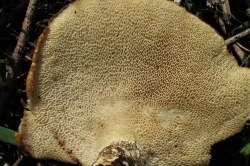 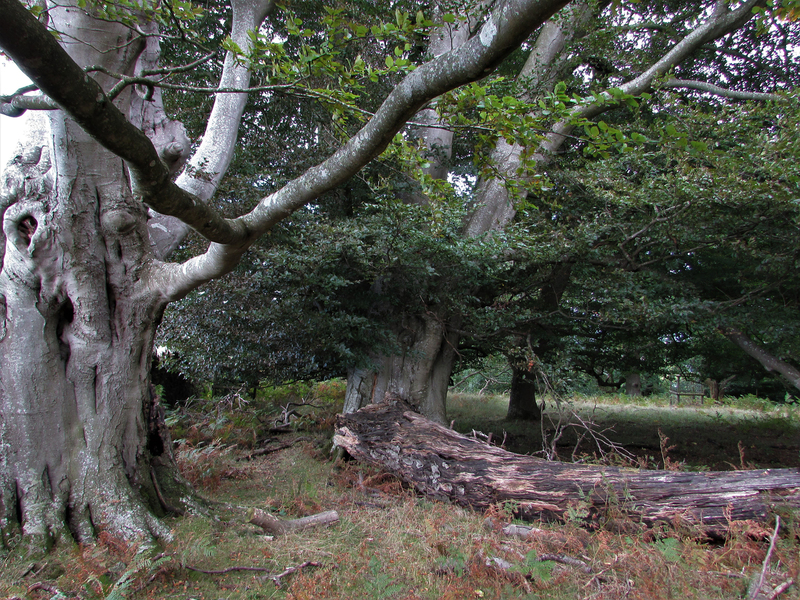 A woody lateral stem up to 8cm darkening to black at the base. 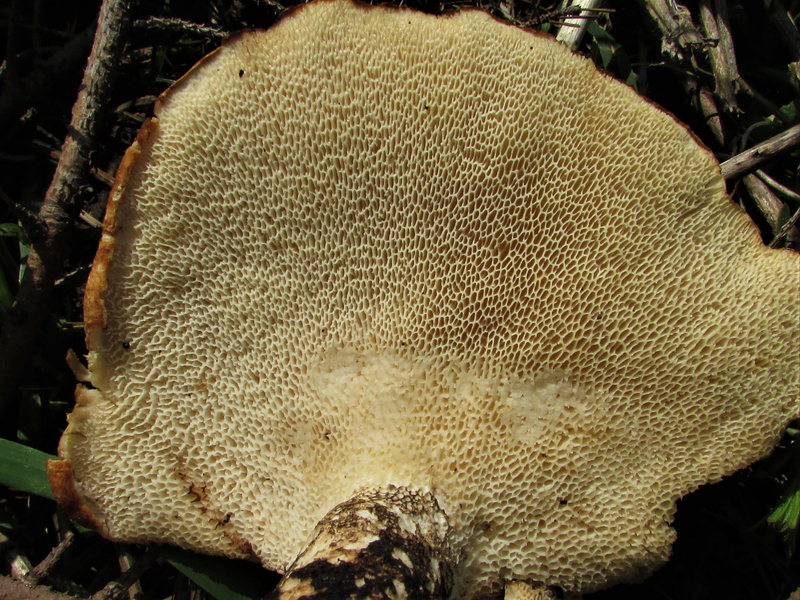 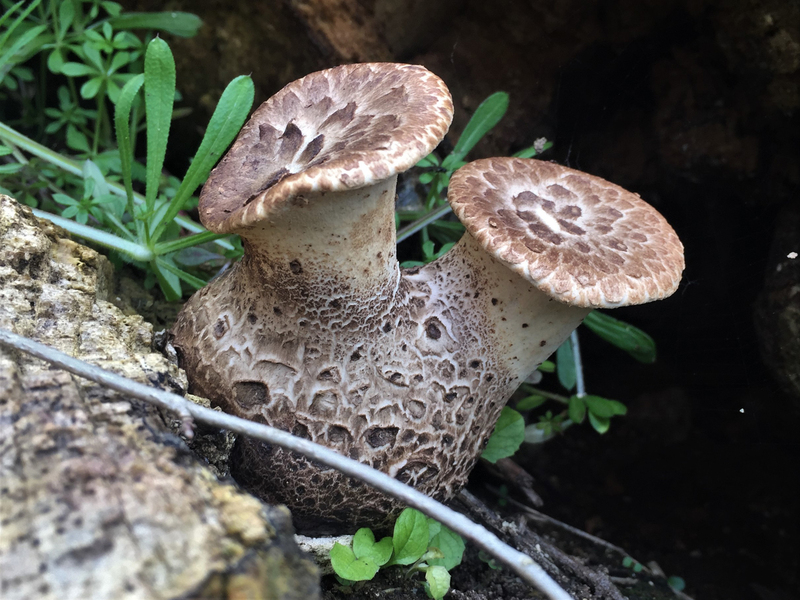 White, thick and succulent when young becoming leathery then corky as it matures. 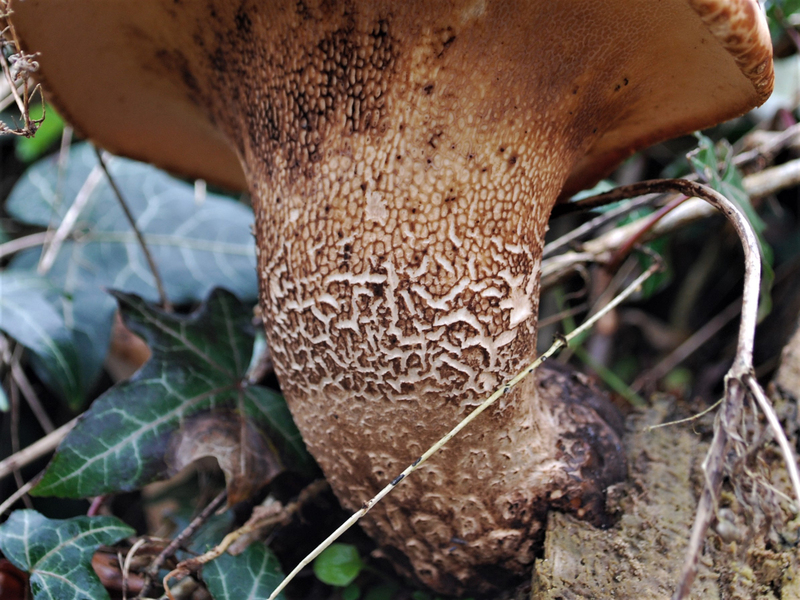 It would be difficult to confuse this mushroom with any other. 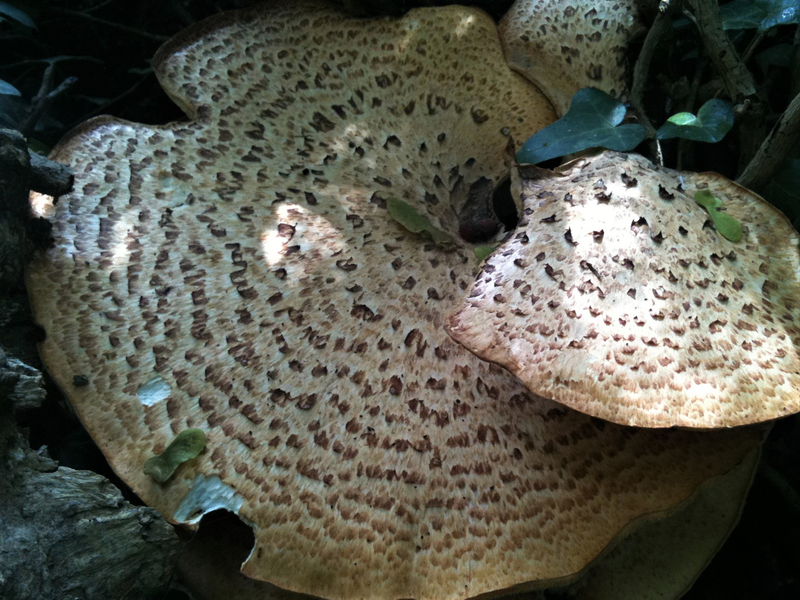 A bit like water melon when young, fresh and raw but mushroomy when cooked or dried and powdered for stock. 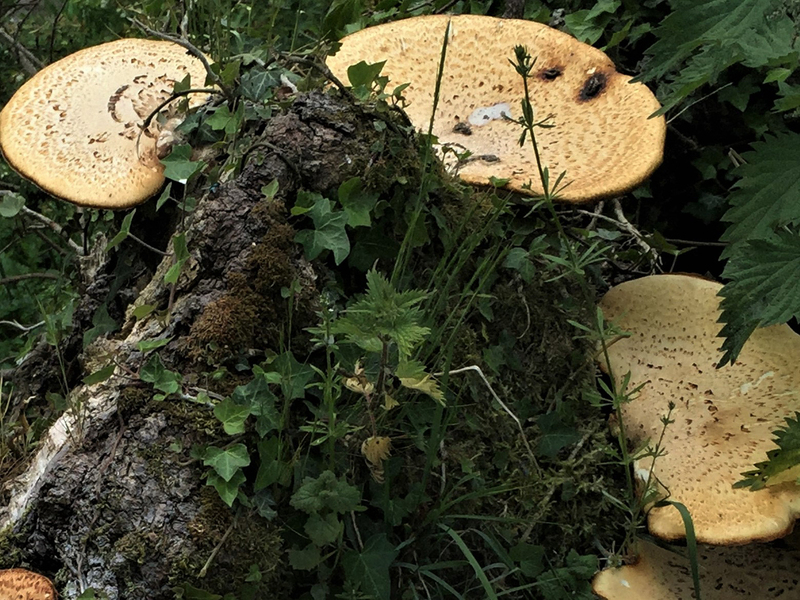 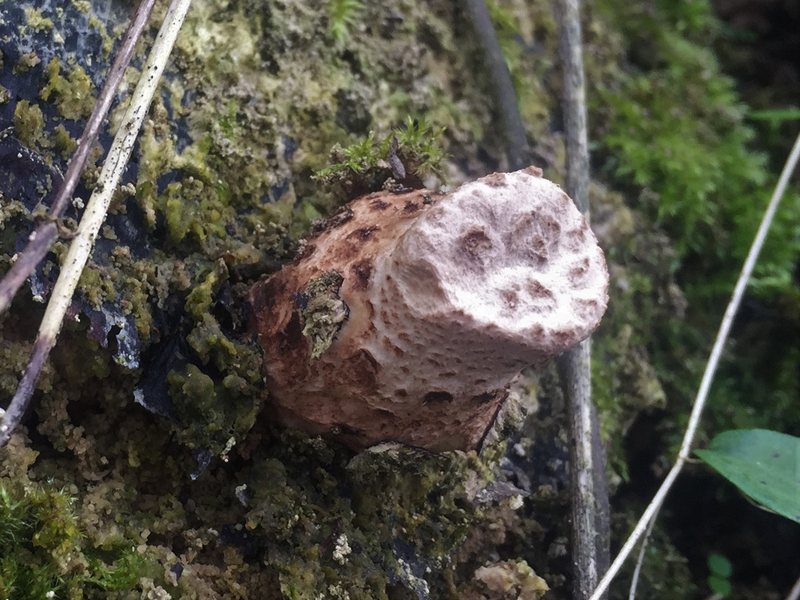 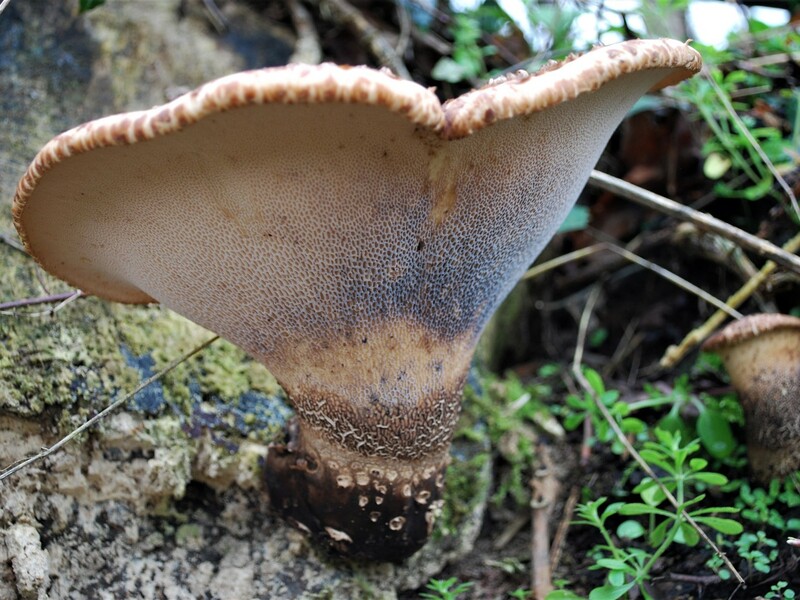 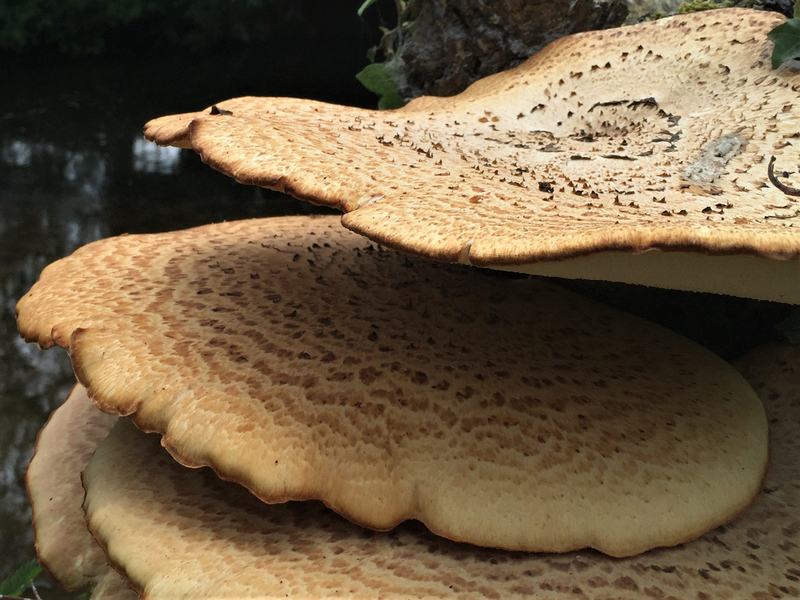 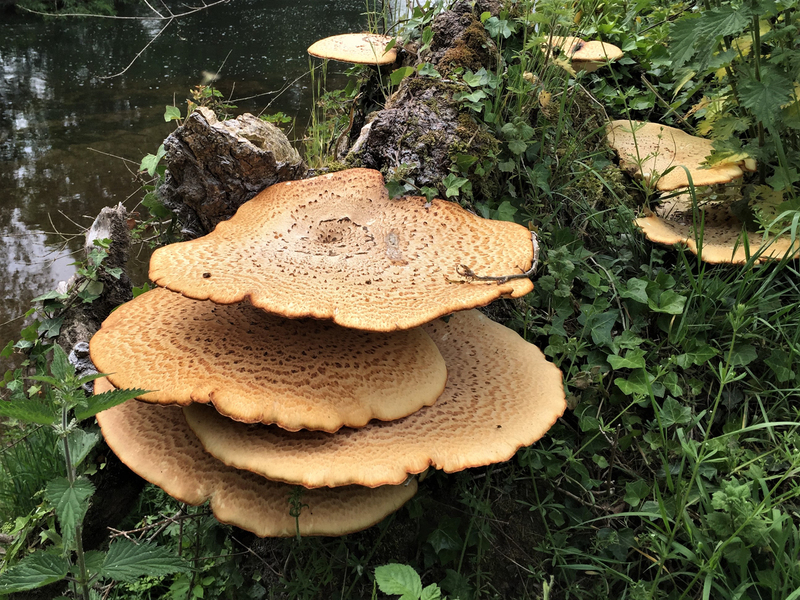 This is the largest capped mushroom in the UK and can until become so heavy it can no longer support itself and will fall from it’s position and be found unattached at the base of it’s host tree. 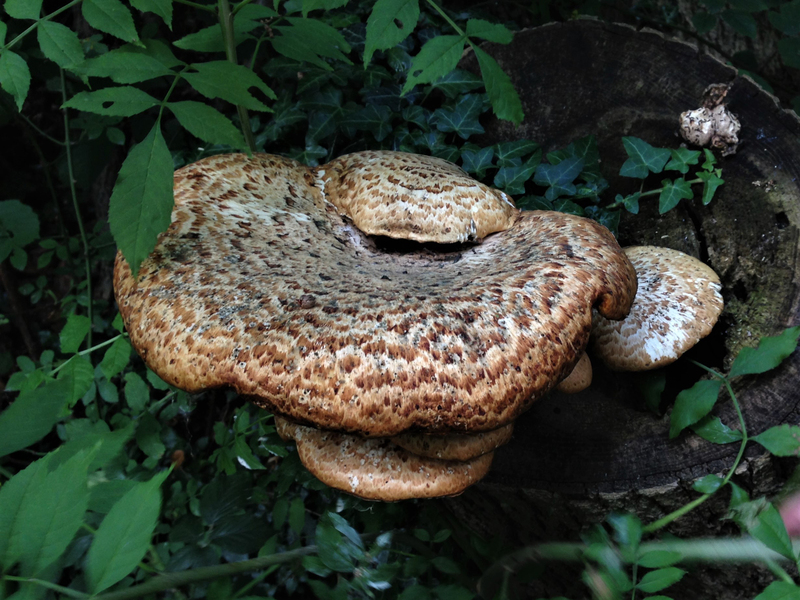 Although this mushroom is edible fresh I prefer it dried and powdered to make a good mushroom stock and as it can be so large a lot of stock can be gathered.